The story begins during the War of the Roses in England, but our hero, Gervaise Tresham, soon joins the Knights of St. John in Rhodes. Dedicated to God's service and pious in his personal life, Gervaise uncovers a plot, saves the coast of Italy from the Muslim corsairs, and is knighted by the Grand Prior. 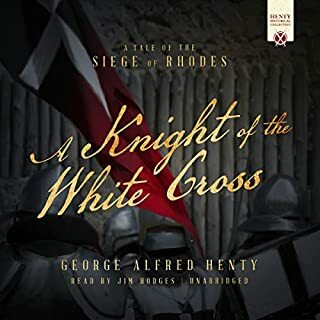 After being captured by and escaping from the enemy, the young English knight draws his sword in the defense of Rhodes. 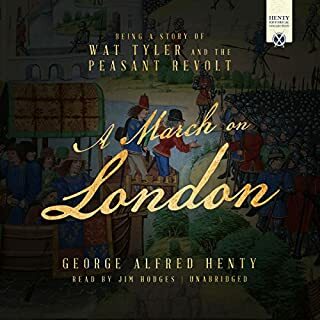 In 1381, Wat, the Tyler, and the peasants he represented urged of the king of England that serfdom should be abolished, the right of all to market their goods publicly should be allowed, the price of good land should not be over four pennies an acre, and that all past offenses should be pardoned. Instead of presenting their requests in a respectful manner, they took to the streets of East Anglia, Kent, and London. Although their demands were certainly reasonable, their methods were not. A match at bowls was being played in which Drake and other high officers of the fleet were engaged, when a small armed vessel was seen running before the wind into Plymouth Harbor, with all sails set. Her commander landed in haste, and eagerly sought the place where the English lord admiral and his captains were standing. He was master of a Scottish privateer, and he told the English officers that he had that morning seen the Spanish Armada off the Cornish coast. In the Heart of the Rockies is packed with adventure! In 1860, 16-year-old Tom Wade leaves England for the American Far West to find his uncle and to improve his family fortunes. 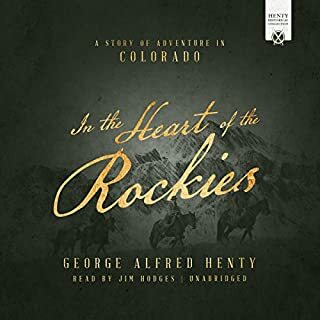 Arriving at the small western outpost of Denver to mine for gold, he soon encounters Native American warriors, takes part in big-game hunts, and learns how to survive a frigid mountain winter with nothing but resourcefulness and perseverance. Shortly before the US Revolutionary war against England, most inhabitants were her loyal subjects. France had control of much of southern Canada and the “western” lands of the current states of Pennsylvania and Ohio. Skirmishes abounded for years between English settlers pushing west and French settlers and their Indian accomplices. 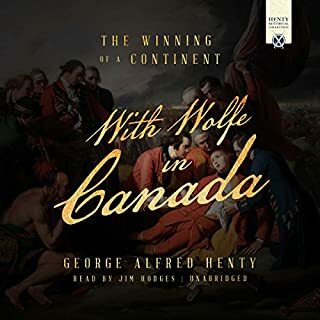 This story includes depictions of the battles of Forts Duquesne and Necessity in Pennsylvania, and Forts Ticonderoga and William Henry in New York, and Quebec in Canada. Frank Norris, accused of theft and unable to prove his innocence, leaves for excitement and adventure in the California gold fields of 1850s America. He sails the Atlantic, braves a storm while working as a barge man on the Mississippi, survives an Indian attack while crossing the plains with a caravan, strikes it rich in the California gold mines, and is finally able to clear his name and return to England to claim his rightful inheritance. Out on the Pampas was the exciting story overheard by a friend who encouraged Mr. Henty to have it published, launching his amazing career as "The Boys' Own Historian." In the mid-1800s, the Hardy family relocates to Argentina, joining other British settlers trying to start a better life for themselves in a new land. They face many obstacles and perils in this rugged lifestyle: surveying, building, planting, raising animals, and fighting off attacks from the natives. The Battles of Lexington and Concord, Bunker Hill, the Declaration of Independence, Washington crossing the Delaware, Saratoga, and the final surrender of Cornwallis at Yorktown - these are the scenes that stir the soul of many an American. But to an Englishman, they do no such thing. This Henty novel retells these stirring tales, but from a different perspective, helping listeners learn how the other side viewed this miraculous triumph of freedom that inspires millions throughout the world still today. It's the time of the English Civil War in 1642. Harry Furness is a Cavalier fighting for the king; his friend, Herbert Rippinghall, sides with the Roundheads in opposition. Oliver Cromwell leads the rebels aligned against the king and his admittedly tyrannical rule, but ends up imposing his own! 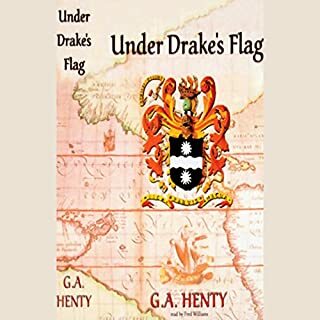 Most of the story follows Harry Furness and the campaigns which take him all over the British Isles and the high seas, right through his capture at Drogheda and enslavement in Bermuda. Join Henty's Hero on an adventure in Australia in the early days of its settlement, when the bush-rangers and the natives constituted a real and formidable danger. Reuben, a young English lad, after rather a stormy boyhood, emigrates to Australia, where he gets employment as an officer in the mounted police. Bring history back to life through Jim Hodges' historically accurate, exciting, and edifying audio recordings. The conquest of the Aztec Empire by Hernando Cortez and a mere handful of Spaniards is one of the greatest romances of history. A writer of fiction would scarcely have dared to invent so improbable a story, but it is true. Fortunately Cortez was able to ally himself with many peoples conquered by the Aztecs who were all too happy to assist in their downfall. On August 24, 1572, more than 2,000 French Huguenots - men, women, and children - were massacred for their faith. In St. Bartholomew's Eve, Henty vividly depicts Admiral Coligny's unflinching bravery, Queen Elizabeth's vacillating foreign policy, Catherine de Medici's vindictive scheming, and the queen of Navarre's inner strength as he recounts the adventures of Phillip Fletcher. 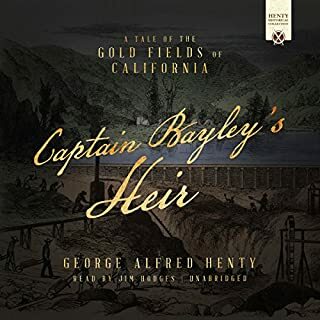 One of the best G. A. Henty audiobooks!! Mr. Henty tells an exciting story from the record of Josephus. The troubles in the district of Tiberias, the march of the legions, the sieges of Jotapata, of Gamala, and of Jerusalem all come to life. In this impressive and carefully studied historic setting, you will follow a lad, John of Gamala, who passes from the vineyard to the service of Josephus. Mr. Henty weaves a story of the life and times of King Richard the Lion-hearted that is yet to be equaled. Cuthbert de Lance, the hero of the story, is of Norman blood on his father's side and Saxon by his mother. By providing timely aid to the Earl of Evesham, Cuthbert is rewarded by being allowed to go to the Crusade as his page. He gains a reputation for valor and prowess due to gallant deeds, and his resourcefulness not only helps King Richard but aids Cuthbert in many a 'hairbreadth escape'. When 16-year-old Angus Campbell finds himself orphaned and his life at risk, he leaves Tabriz and makes his way to Teheran to seek employment with the British ambassador there. His knowledge of Persian, Arabic, Armenian, Kurdish, and Pushtoo secures him a post as a secretary for Mr. M'Neill. Liberty or death - this was the choice the people of 14th-century Scotland faced if they rose up against their English ruler. Most would say it was no choice at all. Many of the Scottish nobles were English supporters. Few could be expected to rise up against the numerically overwhelming English army. The hero of the story, Archibald Forbes, joins the struggle for Scottish freedom led by the valiant Sir William Wallace and Robert the Bruce. Great story, could use better reader. Beric, a boy chief of a British tribe, takes a prominent part in the insurrection against Rome under Queen Boadicea. These efforts are useless against the mighty Roman army. For a short time, Beric and his companions continue the fight but are ultimately defeated and taken as prisoners to Rome. Through the eyes of Beric, the listener learns of life in AD 61 Rome, the gladiatorial schools, the great fire, and life in Nero's court. 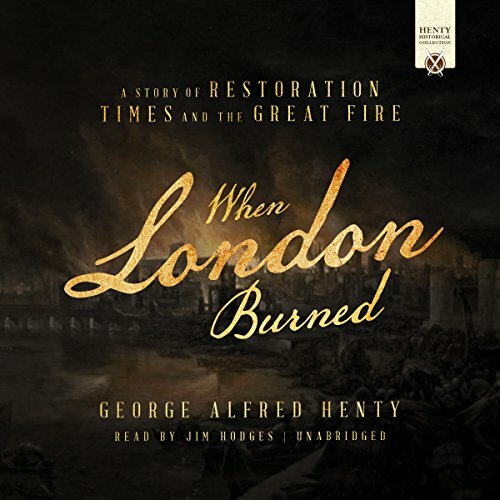 The 1660s were a time of turmoil in England: Cromwell had been defeated and Charles II, who was sympathetic to the Catholics, was restored to the throne; the Dutch declared war on England; the Plague raged; and the Great Fire of London destroyed half the city! Our hero, Cyril, at the death of his father Sir Aubrey Shenstone, inherits nothing except his father's title, and works as a bookkeeper for various London tradesmen. Honest, hardworking, and quick-thinking, he uncovers the plots of thieves, diverts a fire-ship in a sea battle, serves as a doctor's assistant during the Plague, and prevents the murder of one of his friends. Wounded in the sea battle, and later contracting the Plague, he survives all and receives back, as a gift, the estates that his father had lost. but this is just your run of the mill novel placed in that time period. Well read. Interesting story for ages 8 to adult. Great learning about the time of the plague and great fire of London.